The man’s ‘ambiguous chin’ is an artifact of the blind drawing process. Lifting the pen point and re-placing it where one thinks it should go, doesn’t always work out on paper. The girl’s fingers are another matter. She brushed her hair with them briefly from time to time. I sketched the idea of her hands, not the hands themselves. 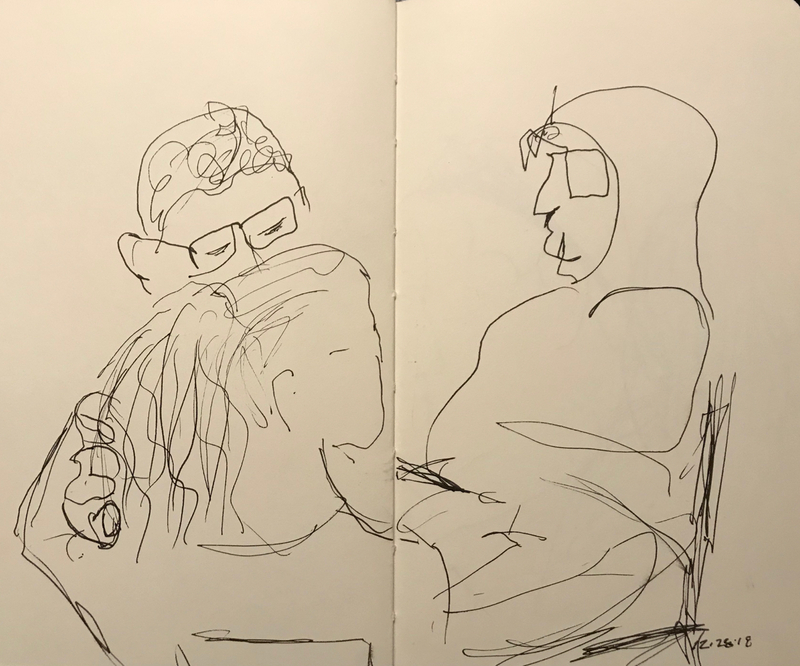 This entry was posted in Personal Stories and tagged art, artistic expression, blind drawing, creativity, drawing, pen and ink, portrait, portraiture, sketch, visual art. Bookmark the permalink.